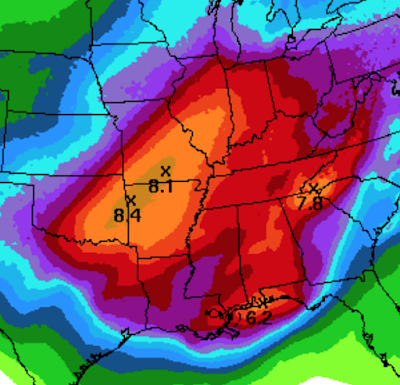 Extremely heavy rains for December are forecast for the Ozarks which will lead to extensive flooding. Given the heavy holiday travel remember: Turn around; don't drown! Never enter a flooded area by foot or by car. The map shows the number of inches of rain expected during the entire storm.